and we are so excited. We thought it was about time we let you know all the exciting things we have in store for the festive season and we’re going bigger and better than ever! As our pic indicates this year we are Elf themed! We have our very own cheeky elf who will be getting up to all sorts of mischief (fun for children and grown ups alike) Check our Facebook page for more on him (click on the facebook icon below, which will take you to our Facebook page) We are joining our Totally Locally Chorley friends in our elf theme and they all have a cheeky elf too. Plus we will be taking part in The Elf Door Trail which starts this Saturday 18th Nov and runs right up until 22nd December. 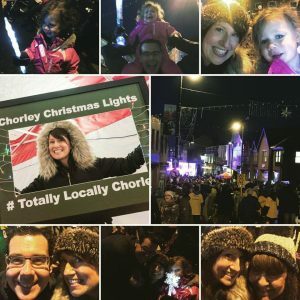 There will be a trail for the children to complete with treats to collect along the way and a chance to win £100 worth of Totally Locally Chorley vouchers which can be used in any of the businesses. There will also be an opportunity to vote for best dressed shop, so please vote for us! 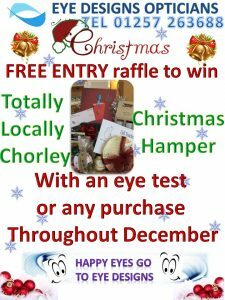 We’re collecting goodies together from our Totally Locally Chorley friends for our Christmas hamper, and this year we’re giving you more opportunities to win it. 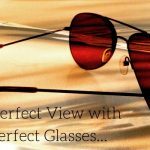 Everybody who comes to us for an eye test in December will receive a raffle ticket and then if you make a purchase you will receive another raffle ticket. 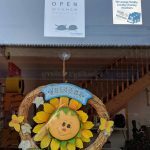 Anyone who purchases or has an eye test will receive a raffle ticket but if you do both you will get two raffle tickets and will be entered twice. You have to be in to win it, so what are you waiting for book your appointment now on 01257 263688 or pop in and browse our extensive range of frames. 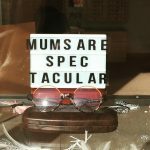 There’s something for everyone from budget to Designer frames and we’ve been busy getting lots of new designs for you to see, all of our ranges are now brand new! 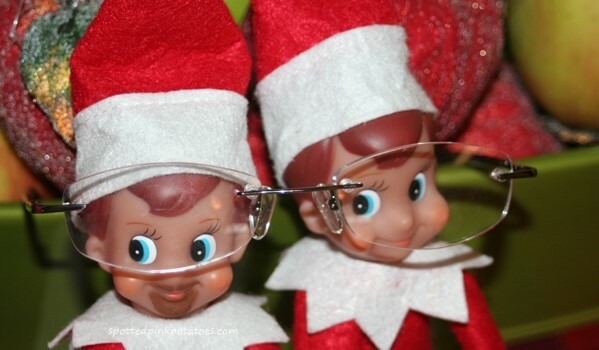 Speaking of eye tests, here you can see that we have some Christmas Event Days coming up. There will sight tests available on these days, plus we’re treating you to hot drinks, a glass of Sherry and a Mince Pie, and of course there will plenty of Christmas cheer. 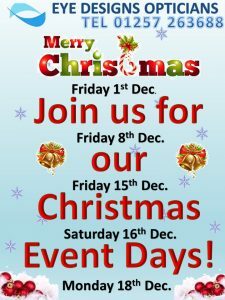 If you don’t require a sight test please do still pop in on any of these dates and join us in a Sherry and a Mince Pie, as our way of thanking all our lovely customers for all your support throughout the year. Get that date in your diary. 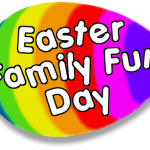 We have eye tests available for all the family, treats and activities for all the children plus a song quiz for the grown ups. Plus Sherry and Mince Pies and every child that has an eye test on this day will receive an early Christmas Pressie off the big man himself. 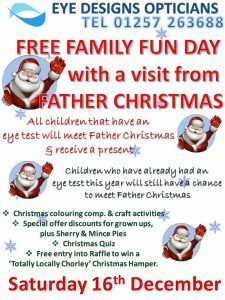 If your child has already had an eye test this year then don’t worry they can still meet Father Christmas as our way of saying thank you for coming to see us.